In Dan Brown’s popular book, The Da Vinci Code, Harvard Professor Robert Langdon sets out to solve secret codes and messages related to the golden ratio. While the book is a work of fiction, there is science to the importance of the golden ration in design. Rumor is the Egyptians used it to build the Pyramids, Leonardo Da Vinci himself was a scholar of its applications, and modern day financial markets create models around it. Designs built around the golden ratio are said to be the most pleasing to the eyes. 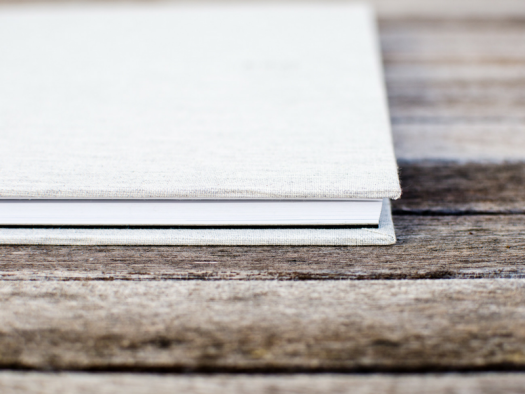 So, what exactly is the golden ratio, and how does it apply to yearbook design? 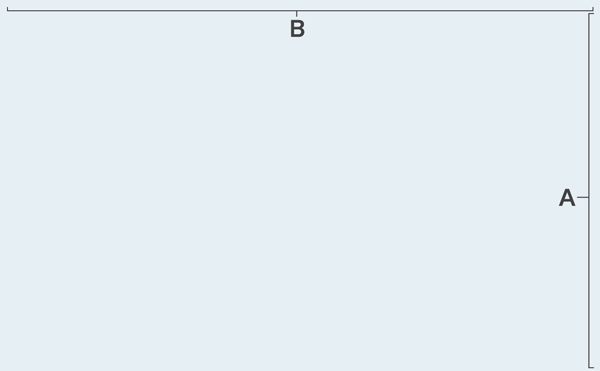 Without completely getting bogged down in complicated math, think of it as a rectangle with length (side B) roughly one and a half (1.618) times the width (side A). When you look at what so many people have been drawing and building, you see these proportions everywhere. It is well known that the eyes take in information more efficiently when they scan side-to-side, as opposed to up and down. Bejan goes on to explain that animals have evolved their vision to scan for danger from side-to-side, or along a horizontal plane. Predators and danger typically come from behind or the sides and almost never from above or below. As animals developed organs for vision, they minimized the danger from ahead and the sides. If you’re interested in reading more about Bejan’s connections between nature and the golden ratio, he has a fascinating blog. There is a lot of debate surrounding the exact science behind why we gravitate towards design that follows the golden ratio, but what is known, is that we do love it. And what’s most important to us is creating more pleasing design, right? 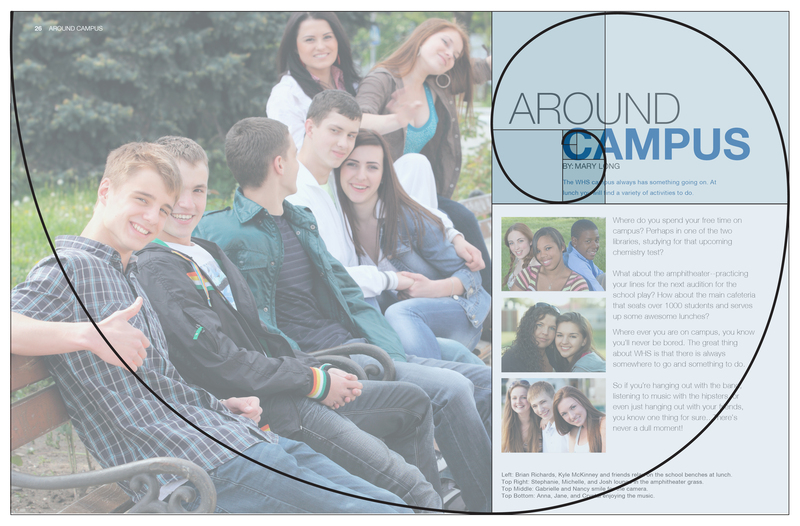 Let’s talk about a few yearbook design tips incorporating the golden ratio. Let’s start with the easiest application: Building a rectangle. Choose the length of the rectangle’s short side. For this example, we’ll use 600 pixels. 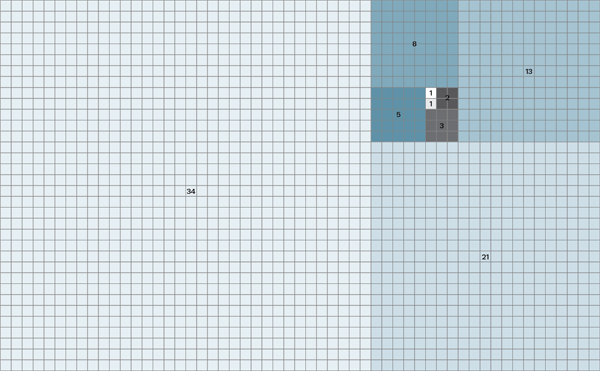 Now multiply 600 pixels by 1.618 to get a rectangle of 600 by 971 pixels. This rectangle follows the dimensions of the golden ratio. You’ll want your headlines to be in proportion to your body copy. In order to follow the golden ratio, simply multiple 1.618 by your body text size. For example, if your text is size 10, your headline will be 10 times 1.618, or size 16. The simplest tool to creating design linked to the golden ration, is to use Fibonacci sequencing. Fibonacci sequences begin with 0 and 1. Add the previous two numbers together to get the next number in the sequence. 0,1,1,2,3,5,8,13,21…and so on. 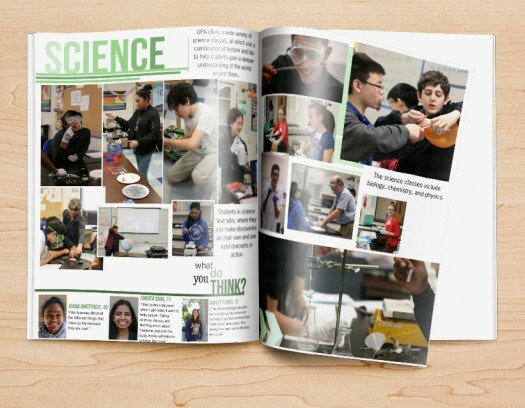 The image below is a good example of a creating Fibonacci sequence for page layout. 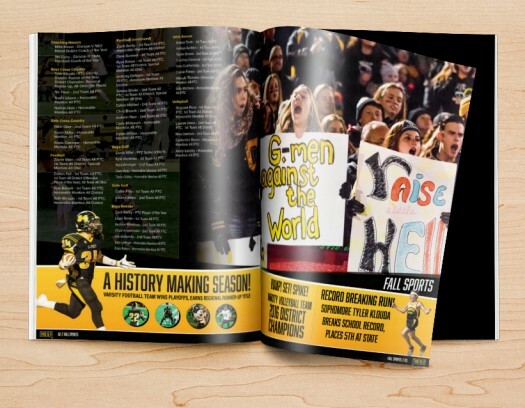 See how the page spread below, using Fibonacci sequencing, could create a very pleasing layout for your yearbook? 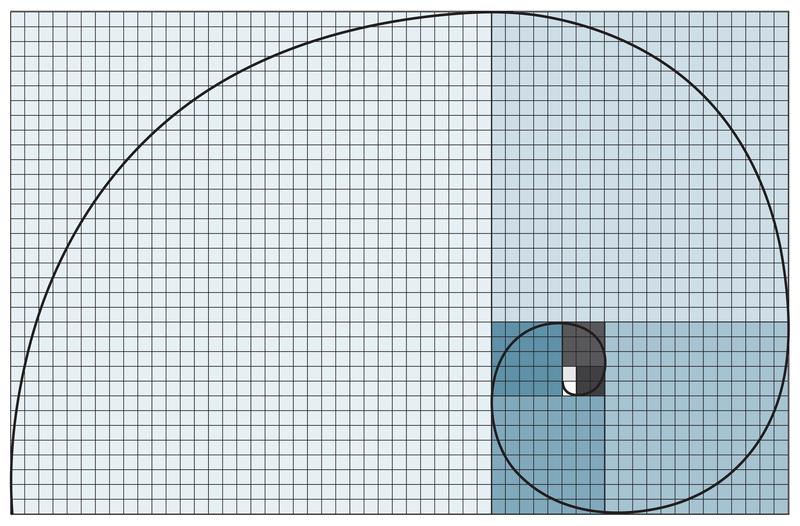 Do you have any examples of the golden ratio in design or nature? We’d love to hear them.